First things first, it got there. That surely has to be the biggest compliment to it. Many other riders and racers had to abandon as their kit failed around them and they were plagued with mundane, avoidable mechanical issues which really should not have occurred, as well as some rather spectacular mechanical failures. 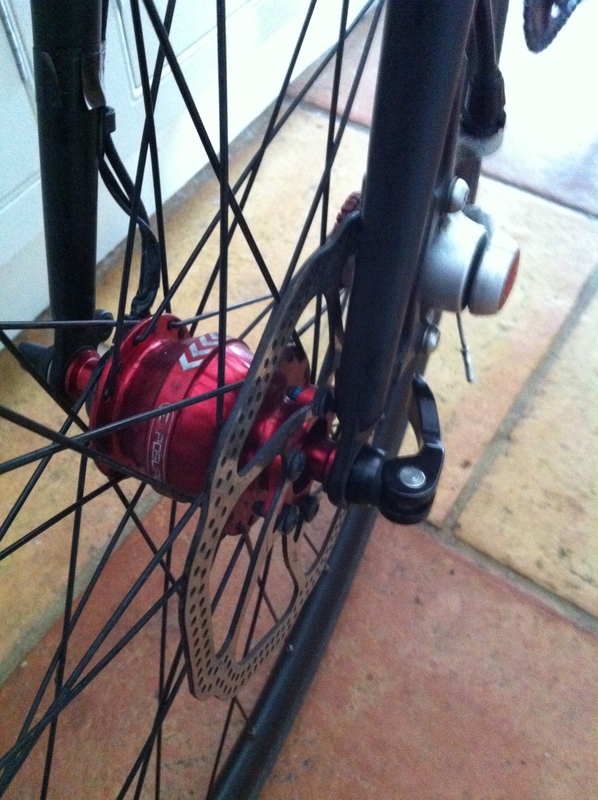 The front hub was swopped out to an Exposure Revo Dynamo system to power the lights and Supernova Plug III usb charger. 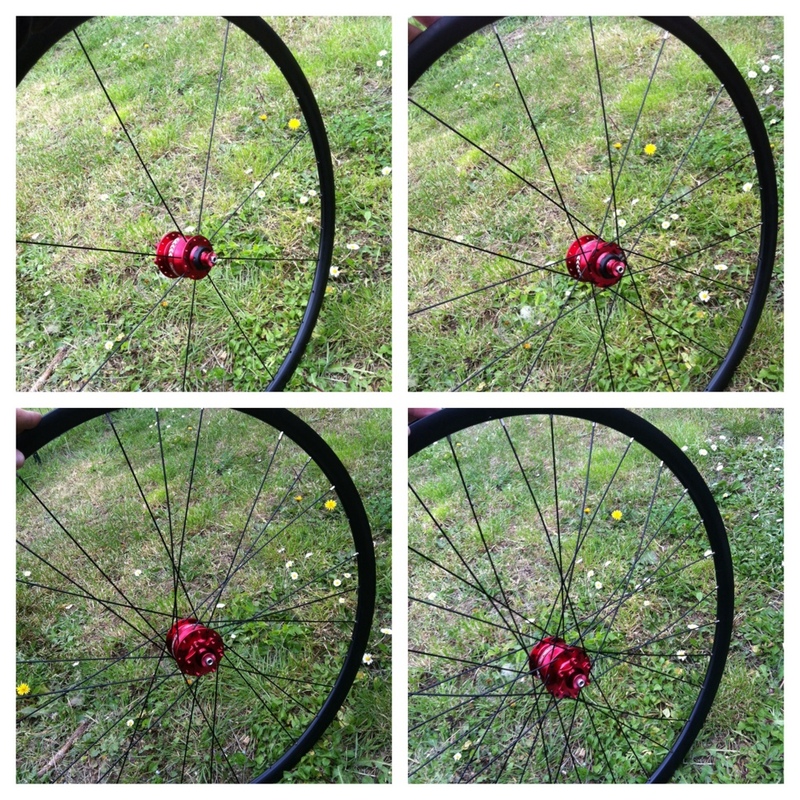 The original rim from the Plug was used and built into a 32h wheel. The only downside to this was that the rim was quite heavy. It did however, make a very strong wheel which was faultless for the entire trip, no need to retrue or tighten any spokes. The lighting system was incredible and one of the highlights of the kit that we used. 1000 Lumins out front meant that we could see everything we needed with no issues. It projected a wide beam that was powerful enough to see any holes or glass on the road even when descending at around 50km/h. An Exposure Joystick was used as a headlight for rummaging around in bags at night, once again, brilliant and once charged, lasted for the whole trip. Strange to say, but we looked forward to night riding, as the temperatures were cooler and the dawn and dusk views were breathtaking. The only downsides were many shops were closed so it was difficult to get food and water if we ran out and the dogs in Eastern Europe were a little more ‘lively’ at night! 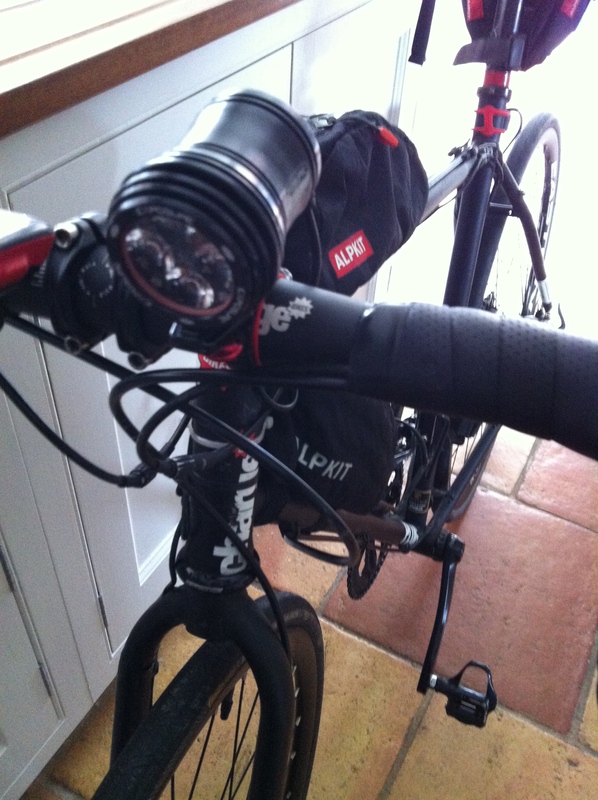 The rear ‘red eye‘ light provided enough to be seen and still functioned, albeit dimmed, after 2 hours of inactivity. This meant that we sometimes would sleep and wake up with the lights still on. The Alpkit luggage worked very well. The frame bag behind the headtube held spare innertubes (2), zip ties, electrical tape, multitool, chain links, spare brake and gear cable and 1 set of brake pads. Of all the kit that we took, this bag was opened the least, thankfully. The bag above the top tube held essentials, such as chargers, maps, sweets and painkillers, all easily accessible whilst riding. It also held a iPhone well, even when unzipped, so we could listen to music when riding. A great boost when tired or hungry to get to the next target town. The rear saddle bag held all the bulk of clothing and spares that we needed to access daily. The bag did have a tendency to swing around when very full but it never rubbed on legs or alter the balance of the bike so was no real issue. It wasn’t as waterproof as you may expect, so clothes did get wet inside if riding in the wet. A different material, similar to the front bag would make a big difference. Some reflective trim or more visible material around it would also help be seen by drivers at night. The front dry bag held our sleeping kit, although after Italy, we ended up binning this as we wanted to shed some weight from the bikes and this was the easiest way. The position of the dry bags also meant that the only hand position available was on the hoods. Not an issue on the first day, but after the aches and pains started, being able to change hand positions would have made a big difference. The Supernova PLUG III could be wired into the Exposure hub to charge any usb units. 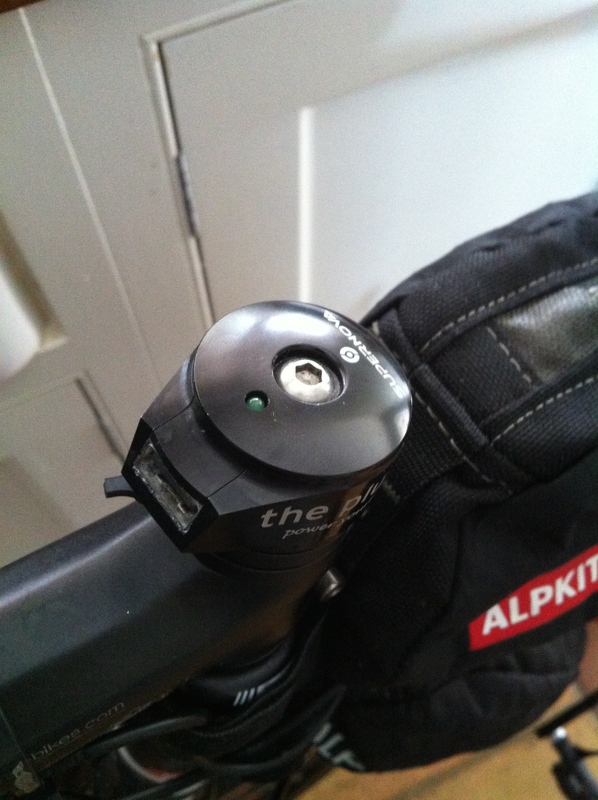 It worked well, although could not be used in conjunction with the lights and would only charge above 15km/h which meant that you had to be on the flat or descending. One downside to this unit was the Garmin Touring Plus that was used would automatically power down if the item was charging, then power removed. I.e. if the speed dropped below 15km/h. This became very frustrating as even at corners or junctions the unit would power off and sometimes take a long time to power back up and find our route again. One solution that we found to this was to use a small power pack to charge the Garmin and leave the dynamo to solely charge the lights. 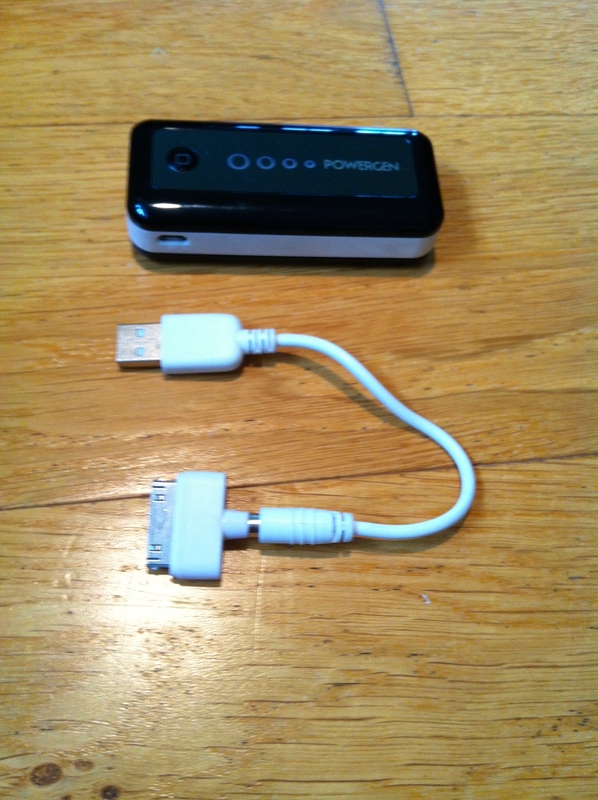 This did work well and provided around 4 full chargers until the battery was empty. This could only be charged from a power supply though and after day 4 both our wall chargers broke leaving us without any way of topping up battery levels at restaurants or hotels. 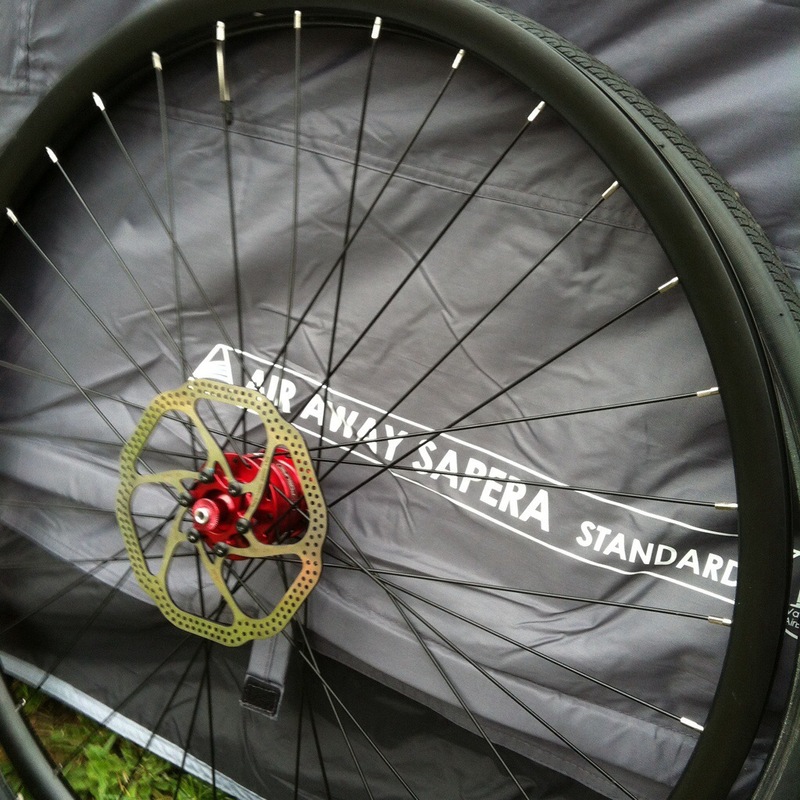 The rear wheel was also changed to an Easton EA90 Cyclocross disc wheel. This was far lighter than the stock wheel and was totally faultless during the whole race. Fewer spokes, but they all stayed tight and true, a sign of quality. 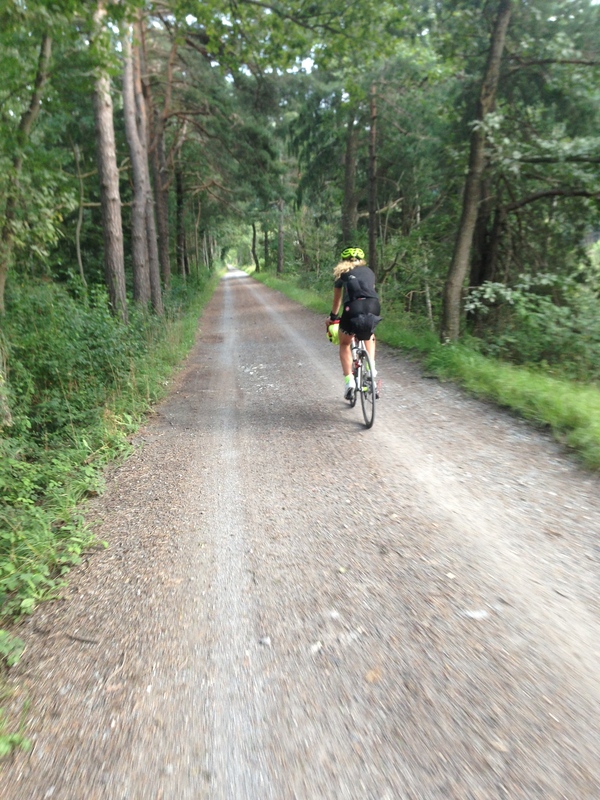 In Switzerland we ended up on trails and cycle paths like these for around 60km. At the time, these were a nightmare as we felt they weren’t fast enough for us, but looking back, they were a welcome brake from the traffic. 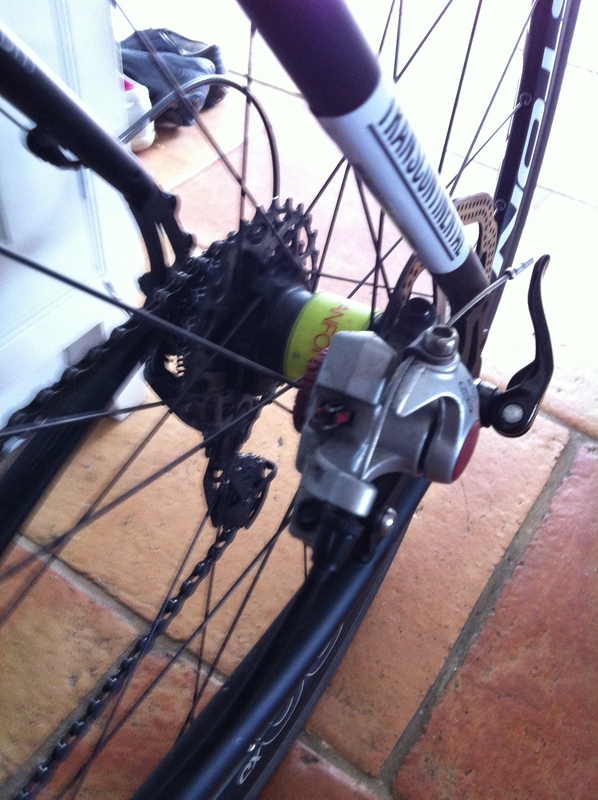 The disc brakes, in my humble opinion, were a necessity on this race and they performed superbly. Descending the Stelvio, at 7am, in -7degrees with cold hands and loaded bikes was no major issue with discs. A real plus point for the bike. The Fabric Scoop saddle was far more comfortable than it’s racy image would let you believe. Day 4/5 were pretty uncomfortable as we had spent close to 70 hours on the bikes so far, but either my bum start to fit the saddle more or the shape finally ‘broke’ in, but it was totally pain free after than for the following 2000km. Very strongly recommended. There are three shapes available; flat, shallow and radius. I was using the shallow. My one gripe about the bike was that when tired, the Sram gears felt very heavy to shift due to the doubletap action, especially on the front. A huge effort was often required to change gear and some serious thought was put in if it was necessary. This may have had something to do with achilles tendon issues as I was frequently standing up on the pedals to climb to avoid changing gear. Two punctures and a worn out bottom bracket. That is all that went wrong on a 12 day, 3600km adventure. 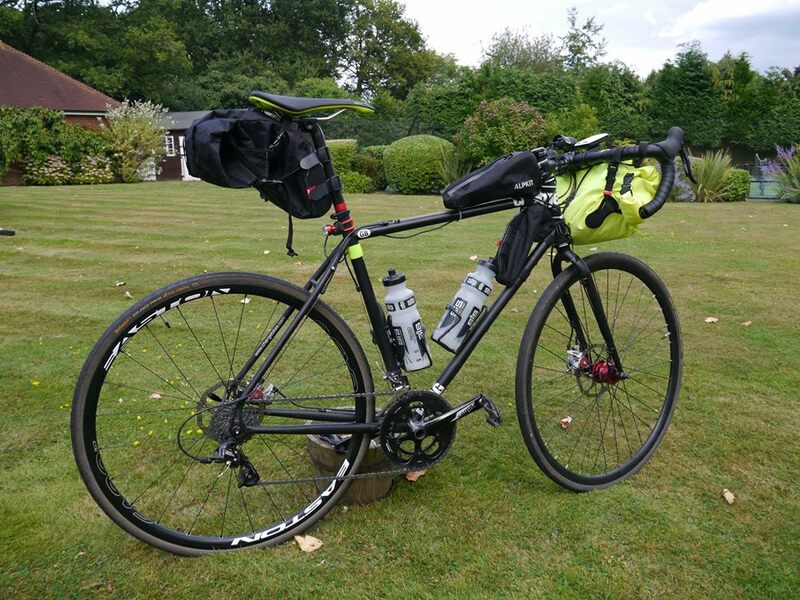 Not worrying about the bike is such a huge relief when there are so many other things that need thinking about; navigating, eating, sleeping, drinking, riding, enjoying ourselves…. 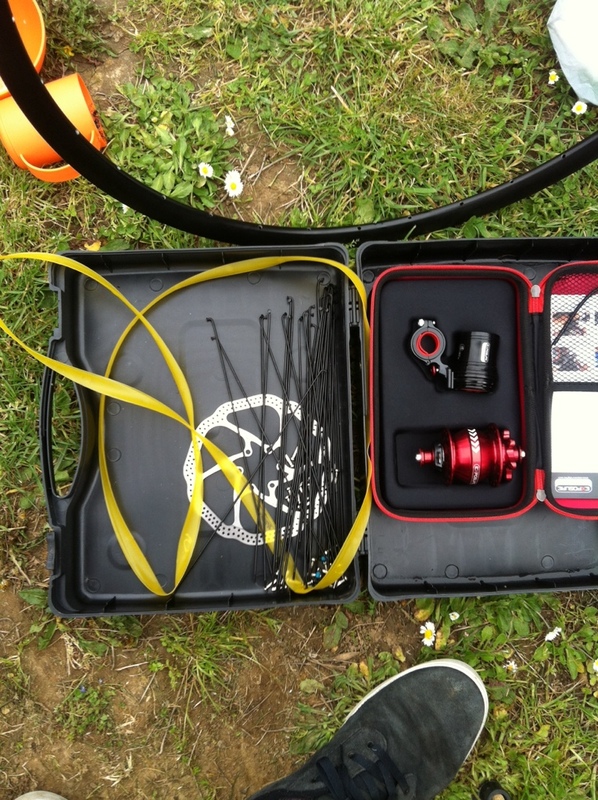 A brilliant, versatile, reliable, efficient bike…I would happily use it again for this style of event. Our Exposure dynamo hubs needed building into wheels for our Charge Bikes, so after our morning ride yesterday, I set about lacing the hub onto an aero rim for the front. The charge plugs are the first 700c bikes we’ve properly used with discs so having an aero rim is a small advantage pointing at discs on road bikes being here to stay. I won’t go into details but the wheel took about 90mins to build and tension. Very happy with it and hopefully will have it in place and wired to ride ASAP.